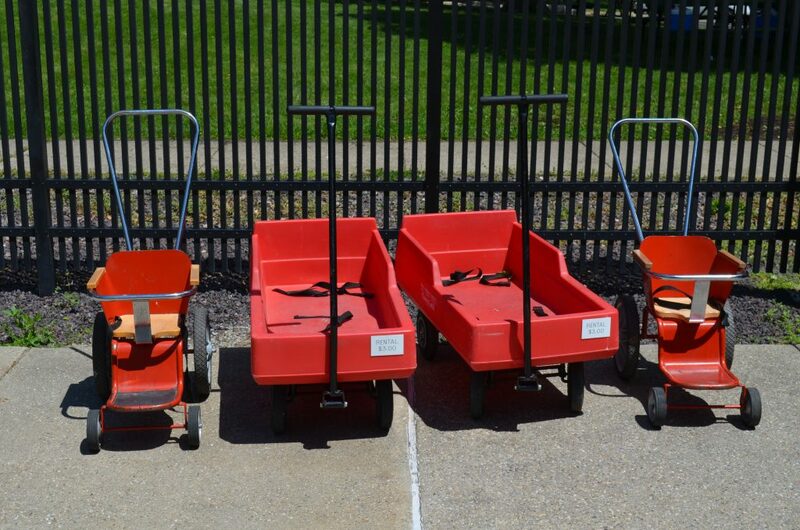 Single strollers and wagons are available for rent for $3.00. 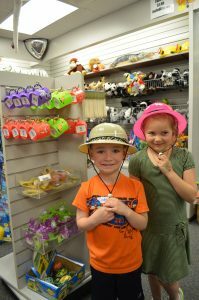 The Zootique gift shop at Scovill Zoo is packed with fun, plush animals, toys, and educational games during zoo open hours and during special seasonal hours. Wheelchairs are available for use free of charge. Scovill Zoo, along with its facilities, restrooms, exhibits and attractions are wheelchair accessible. Scovill features several picnic areas in Scovill Park and in the zoo. Facilities are available on a first-come, first-served basis. Scovill Zoo also features a Zoopermarket for snacks and refreshments. Take a spin on the zoo’s Endangered Species Carousel. 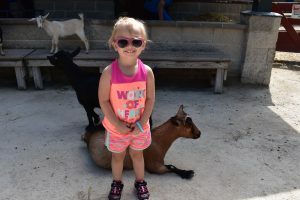 This attraction is unique to Central Illinois, and also serves as an educational tool, featuring endangered animals from across the globe. Climb aboard the Z.O.&O. Express Train. The train will give your group a unique perspective of the zoo. Scovill Park features Project Playground, with swings, bars, and slides. Be sure to leave extra time for your children to enjoy this community-built playground. The park is also home to Scovill Gardens. Take time to walk through the gardens around the gazebo and the Oriental Garden, and enjoy nature’s beauty. The Scovill Sculpture Park is an amazing new addition, which lies between the zoo and Children’s Museum of Illinois. The Sculpture Park includes one permanent sculpture at the entrance to the zoo, as well as 12 sculptures that are rented from national artists for a three-year period. By renting them rather than purchasing them, we will provide a new arts experience for the community every few years! Restrooms – Wheelchair Accessible; Available in the Zootique gift shop and next to the concession stand under the archway. First Aid – Available at the Zoopermarket and in the Zootique gift shop. Lost Students – Check in the Zoopermarket or Zootique gift shop. Lost & Found – Check in the Zoopermarket or Zootique gift shop. Visitor Page – Request in Zoopermarket or Zootique gift shop. Animal Feed – Visitors bring quarters to feed the goats. Change can be made at the concession stand or gift shop.